US Investigation Rattles Resettled Burmese Refugees - Integration Through Media ....! 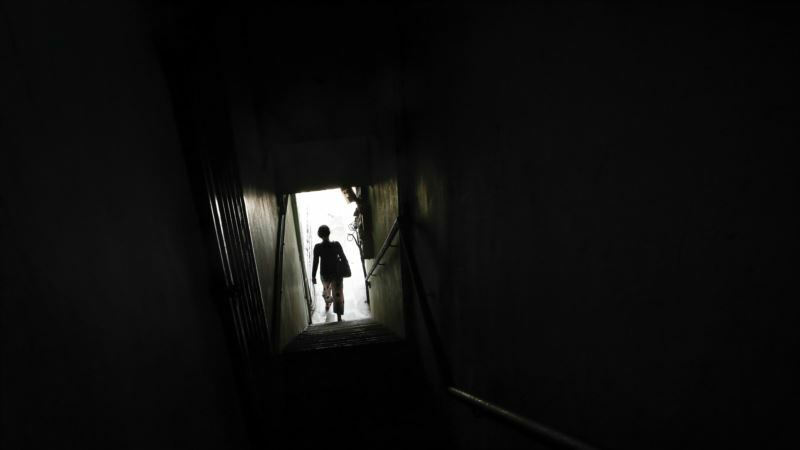 (VOA): When letters from the U.S. government last month summoned more than 1,000 Burmese refugees in the United States for official interviews, chatter spread across the immigrant community: Were the letters real? Did the refugees have to attend? What was the government trying to glean from meeting with refugees who were already in the country, in some cases for years? The letters — sent by U.S. Citizenship and Immigration Services (USCIS), the federal agency that conducts interviews with refugees overseas and vets immigration applications — were real. Some of the refugees opted to go to the interviews, depending on where they were in the residency or citizenship process. Failing to comply could jeopardize pending immigration applications, according to the letters. The ultimate goal of the investigation into possible identity fraud — specifically, two refugees entering under the same name — that may go back nearly a decade remains unclear a month later. USCIS will not say whether criminal charges have been or will be filed, and refugee advocates have not reported any such actions. Regardless, the letters and interviews have raised eyebrows and questions, and kept refugees and their advocates on edge at a time when the U.S. government has whittled the refugee program to a shell of what it was 15 months ago. Jill Niswander, director of communications and fund development at EMBARC Iowa, a refugee support organization in Des Moines, Iowa, said the USCIS interview requests rattled the Burmese community. “No matter the outcome, this has cracked that kind of foundation safety these people have achieved here in the United States,” she told VOA, after local media in Iowa first reported the story at the end of February. The investigation comes after a tumultuous year for refugee admissions to the United States. The Trump administration has cut arrivals by more than half, several key administrators have been reassigned or have retired, and as VOA reported last month, the nationality of the refugees who do come to the U.S. has shifted. Refugee advocates fear the Trump administration will use the recent Burmese issue as a springboard to further cuts to the program. The investigation into potential identity fraud cases isn't the first time the U.S. has investigated its refugee vetting process. It's rare, and narrow in scope when it does happen. Yet, an internet search of fraud and refugee-vetting turned up a mix of stories, many of which tout the risk of refugees to the country. The subject is a favorite among ultra-conservative, pseudo news sites and xenophobic blogs. In one, the U.S. temporarily suspended refugee arrivals from East Africa in 2008 after some refugees failed DNA testing to confirm blood relations they claimed in their paperwork. The difference between the current Burmese refugee investigation and earlier ones is that the refugees in question aren't abroad, but already in the U.S. Though the problem originated on the ground in Malaysia, when refugees were registered with the U.N. system, it remains unclear how the errors occurred — whether there was a system for buying refugee identity cards, or errors in data entry in the rush to register refugees, or if refugees assumed the identities of other refugees in an attempt to get out of a country that was threatening them. The USCIS investigation is focused on a very narrow subset of refugees — by all accounts, U.S. refugee officials sent the letters exclusively to members of the ethnic Chin community who were processed through the international refugee network in Malaysia from about 2009 to 2013. The Chin community accounts for about a quarter of the Burmese refugees and asylum-seekers in that country. In the late 2000s, they were vulnerable to detention in Malaysia, a country that has yet to ratify the Refugee Convention and which has, at times, been inhospitable to refugees. The scramble to register refugees who were fleeing persecution in Myanmar, then arrest in Malaysia, may have led to errors in name and identification documentation, and subsequently, the duplicate identities. Several refugee resettlement workers said they understood the investigation involved refugees who entered the U.S. after either purchasing other refugees' identities or using fake names or, in a lesser offense, perhaps merely spelling their name differently on different documents. A translator who attended one of the interviews told VOA one refugee was asked if she had purchased a refugee identity card. She responded “no,” according to the translator. Refugee advocates say some of the interviewees have been asked to sign sworn statements documenting their responses. Gen Langh, a translator with EMBARC Iowa, witnessed one two-and-a-half-hour refugee interview. Catholic Legal Immigration Network (CLINIC) obtained the transcript of a sworn statement made by a refugee who went through the interview process with USCIS. The document, with some questions and all answers redacted, shows a line of inquiry that focuses on the refugee's name, the registration process in Malaysia, identification documents, and other basic biographical information. When asked in early March about the nature of the investigation into the Burmese Chin refugees, USCIS issued a brief statement to VOA in an emailed response. The agency declined to answer follow-up questions, citing the ongoing investigation, and did not immediately respond for clarification on when the investigation began. The U.S. State Department, which oversees part of the U.S refugee program, declined to comment for this story and deferred questions to USCIS. USCIS would not answer whether the investigation is tied to a 2014 incident investigated by UNHCR, the United Nations refugee agency. That year, UNHCR said it found “a significant number of cases of suspected fraud among some refugee communities from Myanmar. USCIS did not confirm whether that was the catalyst for their letter-mailing in the United States. “We immediately informed the governments of resettlement countries, including the United States,” said Chris Boian, spokesperson for UNHCR in Washington. The refugee agency subsequently carried out “a top-to-bottom overhaul” of their registration procedures, and added digital biometrics, Boian said. It is unclear when USCIS was made aware of the issue, and when the United States began its own investigation into the issue of duplicated Burmese identities. Langh, the EMBARC translator, said there were rumors throughout the community that some refugees could be deported. But even if criminal charges are filed, removal from the United States would be difficult. Myanmar is on the list of “recalcitrant” countries that do not accept deportees.